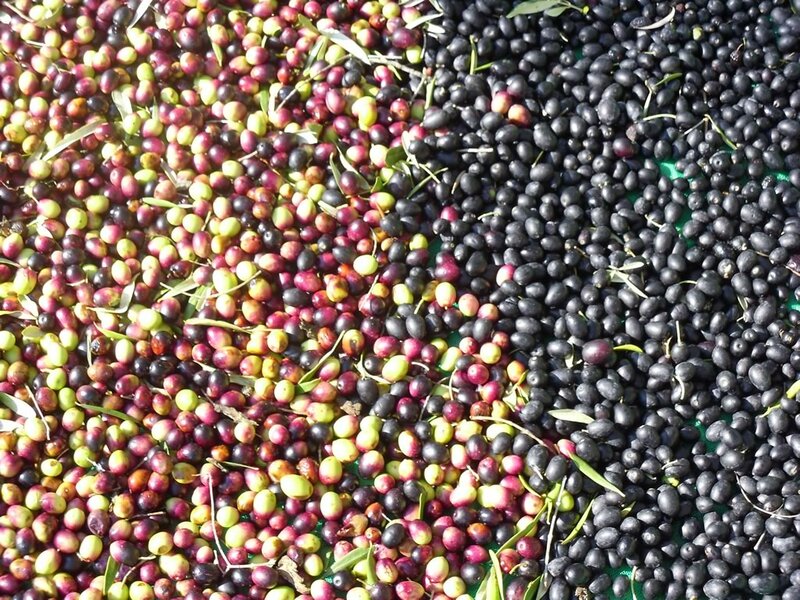 Situated at an altitude of 300 metres in a warm and dry micro-climate, fresh in summer thanks to the southern wind which rises from the Ebro Delta, and low in humidity in winter due to the dry northerly wind, the “Mistral”, Ecofinca Lo Favaret is ideal for olive tree cultivation. 1/3 – Most of the olive trees are situated along 10 terraces constructed in the traditional method of this area, in dry stone, a true gem, following the curvature and levels of the hill that is Ecofinca Lo Favaret. 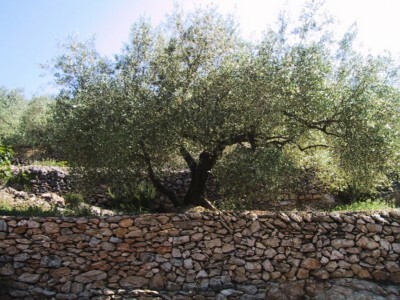 2/3 – We have 3 varieties of olives for pressing into oil, some of which are centenarian and indigenous to the region of Tortosa; variety Sevillenca, perfect for olive oil, also for eating; variety Morruda, produces a grand quantity of olive oil; and variety Farga, a smaller olive, black and kidney shaped, produces a very fine olive oil. 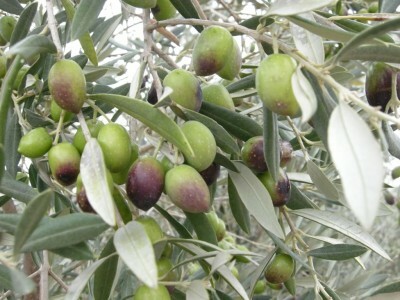 3/3 – The cultivation of the olive trees is totally ecological. We use composted fertilizers only from organic materials and do not use any type of chemical products, leaving the land with mulch. 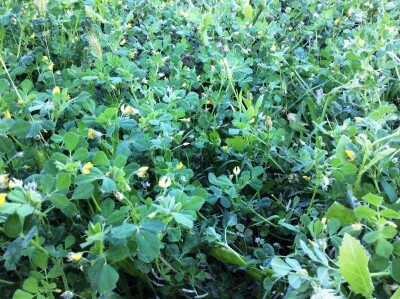 We trim the herb at the Ecofinca once a year, after the spring flowers have past (permitting the bees to do their work) and letting the cuttings compost. 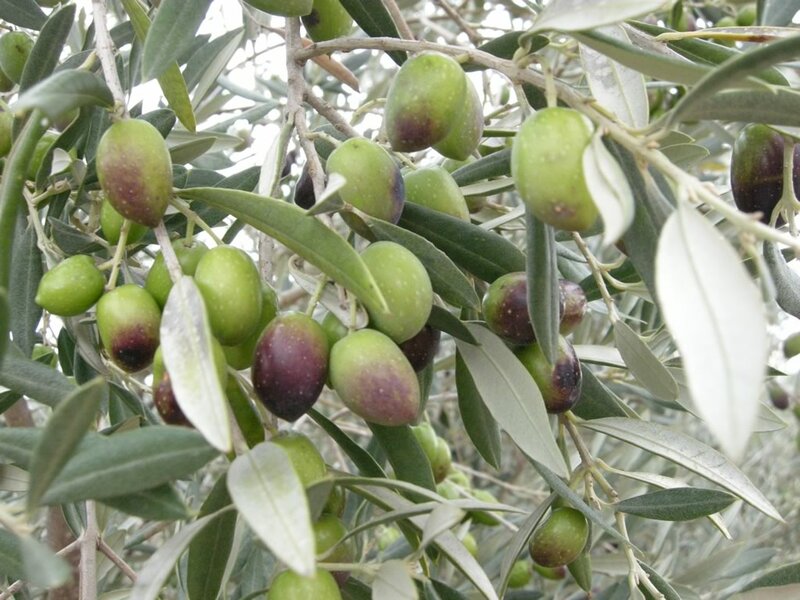 1/4 – From late September, the olive begins the “veraison” moment that changes its colour green to purple, is the state of optimum maturity for harvesting led to the production of extra-virgin olive oil. 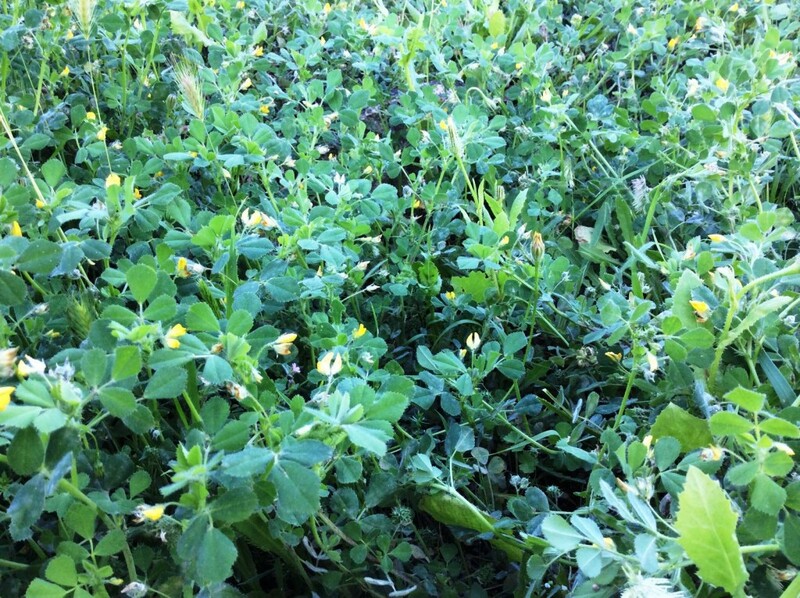 Furthermore, the quality of sensory and antioxidant properties, with higher content of phenolic compounds primarily responsible for its antioxidant properties, are also preserved. 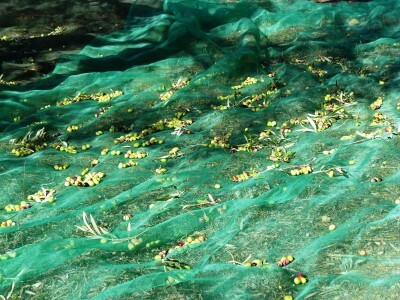 2/4 – We harvest combining manual harvesting (here we say “combing”) and mechanized, vibrating not to damage the fruit and collecting the olives in “borrassas” (nets). 3/4 – The milling of our olives takes place no later than 48 hours after they are harvested. Already in the mill, they are cleaned with an air jet. Then crushed and the resulting paste is churned and centrifuged at low temperatures (cold extraction). 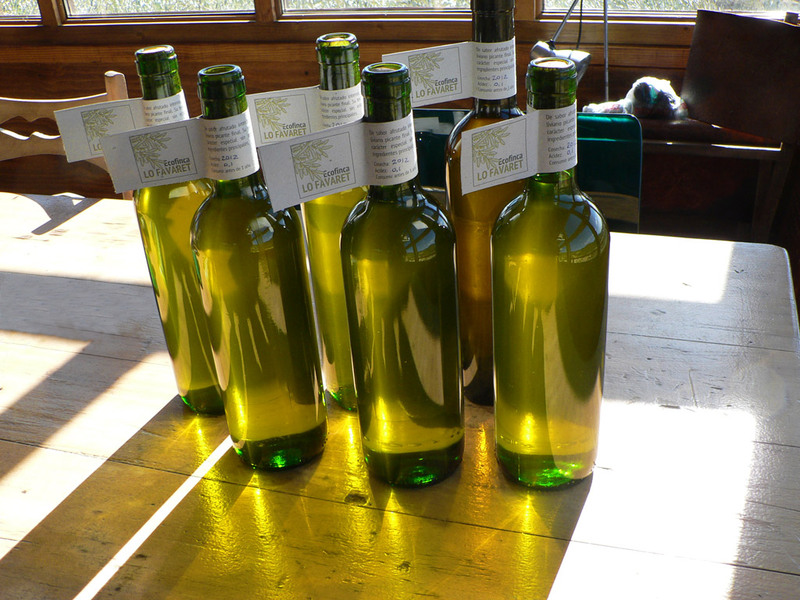 Finally we pack oil in recycled glass bottles. 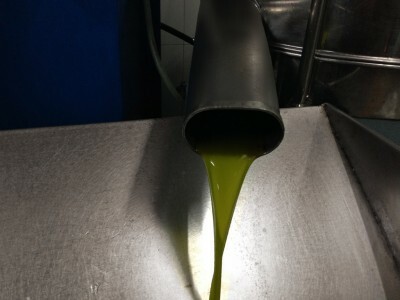 4/4 – The entire process described above ensures an extra-virgin olive oil 100% organic. With a degree of acidity of between 0.1 and 0.4, our olive oil is of a golden green with green reflections, dense, with a fruity flavour and slightly spicy and bitter point, a result of mixing the 3 varieties of olives that grow in the Ecofinca Lo Favaret. 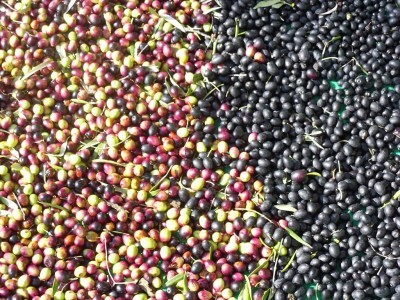 Taste our bio extra-virgin olive oil in La Faeneta or Escape! You will find our olive oil in the kitchen of our accommodations. And, if you like it, you can buy it, and you may bring forth a tasty souvenir from Lo Favaret.